Using the complete, unabridged New Cambridge Shakespeare edition, this is an audio version (cassettes and compact disks) of Shakespeare's Macbeth, using a full professional cast, sound effects and accompanying music. 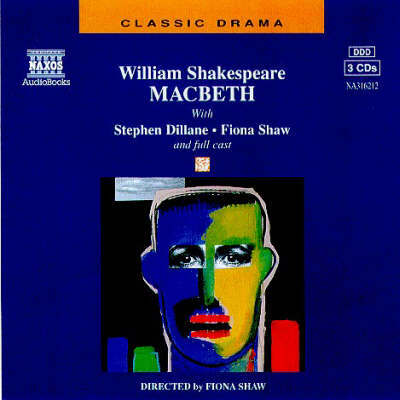 The recording is directed by Fiona Shaw, who also plays Lady Macbeth opposite Stephen Dillane's Macbeth. Other members of the cast include Stella Gonet as Lady Macduff and Bill Paterson as the Porter. Shakespeare wrote Macbeth in 1605/1606, after he had completed Hamlet (1601), Othello (1603) and King Lear (1605). The set of three cassettes or CDs is accompanied by notes, a list of sources, and a play synopsis.